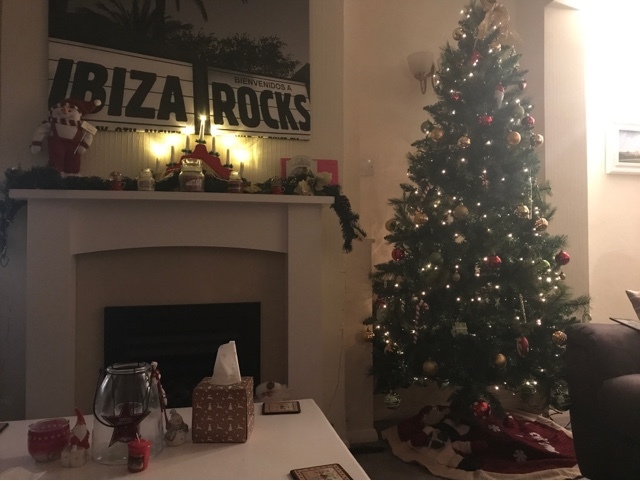 Ok I actually put up my Christmas tree on the 26th November but I've waited until now to pop the photograph on my blog so as not to annoy all those people who think decorations shouldn't go up until December. When do you put your decorations up? Ha ha, you could have got away with that! I'm strictly a middle of December kind of person. We plan to put it up next weekend, but my husband is actually away and I can't collect the tree in my tiny car, so I think it will be 20-something of December by the time it goes up! We have an artificial tree for the first time this year that went up this weekend. I'm really missing our real one but this is the first year the kids really didn't care - so sad!